This is a project done for the Universidad Politécnica de Madrid. Basically it’s a planetarium based on the Google Maps API. It’s in no way a final or complete application, just a proof of concept. There’s plenty of room for improvements. All details about the project as well as current problems and possible improvements for the future can be found in the project’s documentation here. A very small demo can be found here. The project is part of a larger project for an astronomy web portal called Ciclope Astro as an alternative way for controlling the portal’s telescope. 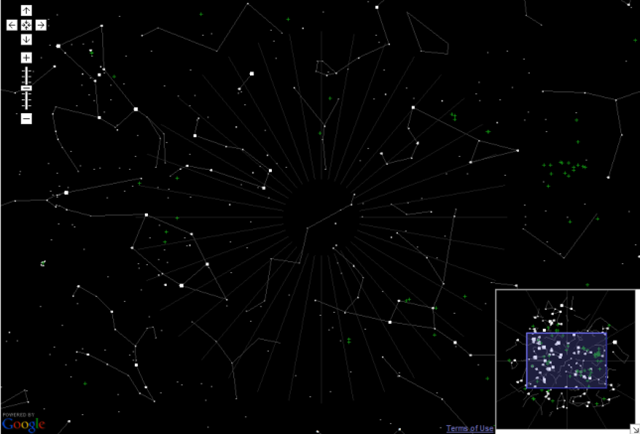 The hole thing is open source and can be found on Sourceforge, here (planetarium) and here (web portal). 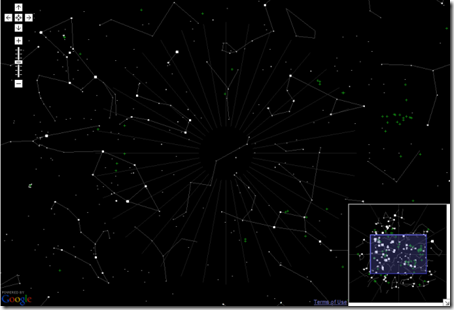 Finally, thanks again to starryalley for his help with adapting Mobile Star Chart for the needs of the planetarium.